Head coach Marc Trestman of the Chicago Bears speaks to the media after the game against the Minnesota Vikings on December 28, 2014 at TCF Bank Stadium in Minneapolis, Minnesota. The Vikings defeated the Bears 13-9. 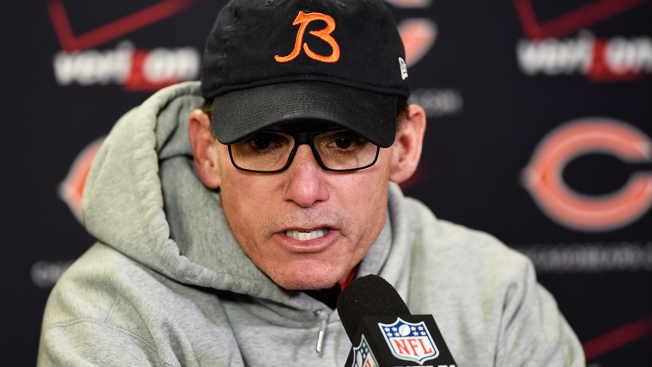 Former Chicago Bears head coach Marc Trestman didn’t have much success when he was in the Windy City, but now he is going to head back to the league where he made his biggest mark. According to multiple reports out of Canada, Trestman is close to being named as the new head coach of the CFL’s Toronto Argonauts. The Argonauts are also expected to hire Jim Popp as their new general manager, reuniting him with Trestman after the duo had some great success together in the CFL in recent years. Before Trestman became the head coach of the Bears, he had a five-year run as the head coach of the Montreal Alouettes. In five seasons in Montreal, Trestman led the Alouettes to four divisional titles and five straight winning campaigns. He also led the team to consecutive Grey Cup championships, winning the prestigious title in both 2009 and 2010. Trestman left the Alouettes after the 2012 season to become the head coach of the Bears, and his run didn’t go as planned. He did finish 8-8 in his first season in Chicago in 2013, but after a 5-11 season in 2014, Trestman and G.M. Phil Emery were both fired by the organization after just two seasons in charge. After his firing in Chicago, Trestman joined the coaching staff of the Baltimore Ravens, serving as the offensive coordinator under John Harbaugh for one and a half seasons before being fired in October.